Spring Paradise- Comfortable island home on North end. 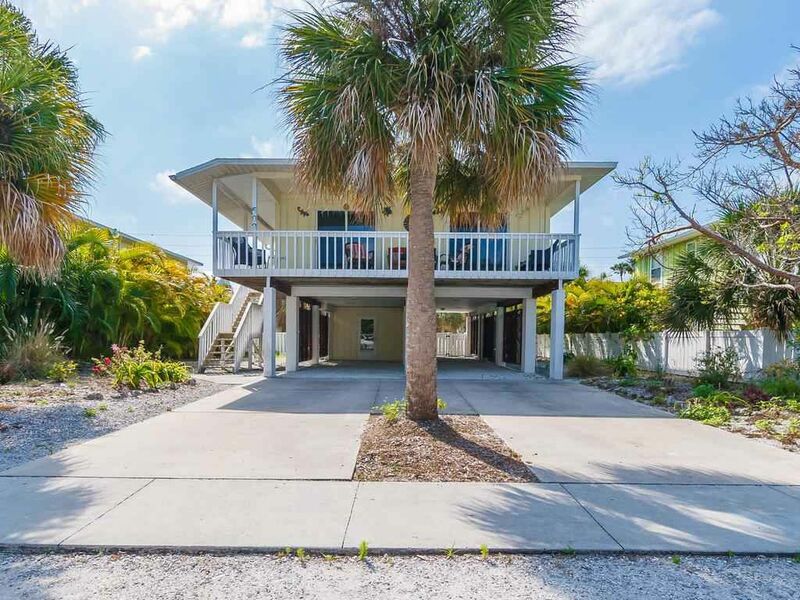 Spend your vacation in a comfortable home close to all Anna Maria has to offer. This 2 bedroom, 2 bath elevated home is only a few blocks to the Gulf beaches, and close to Tampa Bay, Pine Avenue and the City Pier. Take in the fresh sea breeze air from the front porch, or enjoy the outdoors with a swim in the heated pool. The kitchen has been updated and is well appointed. The home sits on a large lot, and has covered parking for 2 vehicles. Pets are welcome with a non refundable pet fee. No Smoking. Hello, My name is Josh Sato. I am born and raised on Anna Maria Island. I currently live in Holmes Beach. I love fishing, diving, pretty much anything to do with the water. I grew up here and can't imagine living anywhere else. Close proximity to the bay and spacious outdoor area. Great Location. That’s the good. The bad is property management is not taking care of the property. And house keeping is not doing their job. First night in bare feet on wood flooring and our feet were solid black! Dirty carpet also. Couch slip cover was very dirty. However the office quickly sent over the cleaner to have it laundered. Anna Maria itself is fantastic but I’ll stay elsewhere next time. Beautiful property, perfect for our needs! This was a perfect property for our needs! We needed two bedrooms and bathrooms with a common area away from the bedrooms and a heated pool. We got that and more. The pool/patio deck was in the fenced in back yard and was heated to perfection. It was far enough away from the house that if it got loud no one was bothered. Everything was perfect! Great Experience! Great place for a vacation! We had a great vacation and were very happy with the house. The property was well represented in the advertisement. It is located close to everything. We pretty much parked the car once we arrived. There was even a nice storage room where we could keep our bikes. This was a very stress free experience thanks to the team at Sato Real Estate. They do a great job and are just around the corner from the rental. I would and have recommended this property to friends. We would love to visit again. The house was great and the pool was lovely. We had a blast staying at the property on Anna Maria Island. The location of the property was fantastic, the beach was less than a block away as was a good restaurant. Large front room and I enjoyed eating breakfast on the balcony. We were in the pool every day. Check in and check out were easy. I would stay there again.